The Michael Polanyi College: Is this the future of higher education? Despite all the talk of innovation, the vast majority of colleges still look the same as decades, or even centuries, ago - crowds of bored students sit in rows of chairs, pretending to listen to a professor lecture. The sad reality is that neither students nor professors seem happy with the arrangement. Students feel like a faceless number and graduate with credentials that don’t always lead to opportunities. Many professors feel underused, distant from their students and like cogs in a bureaucratic machine. Even supposedly earth-shattering innovations, like the Socratic method or MOOCs (massively open online courses) have failed to deliver the disruption that universities desperately need. The Socratic method can hide unhealthy group dynamics, and doesn’t scale well. For all their value, MOOCs are fundamentally just university lectures converted to digital. While MOOCs offer some ways for students to get involved, overwhelming evidence suggests that few people are deeply engaged by them. Most people don’t even finish them. And what happens to professors when all the best lectures in every subject are freely available online? Radical innovation in education must begin from these initial principles. Firstly, humans are born to learn, particularly when we’re interested in something. Secondly, humans are social animals. We’re programmed to seek tribes that make us feel connected to one another and to join causes higher than ourselves. People, especially young people, adopt the views, habits and interests of their tribe. Thirdly, universities hope to educate complete people. At its most romantic, the mission of a university is to educate future citizens: mature, open-minded, tolerant and well-rounded people capable of maintaining a free society. Is the modern university aligned with these principles? Not really. It’s easy to blame students or professors for the lack of motivation or discipline seen in the average classroom. But this common criticism says a lot more about university structure than it does about the laziness of students. As anyone who has run a successful group project knows, people will learn at astonishing speeds when they feel connected to their work. Colleges are tribes, but not always positive ones. What the tech evangelists behind MOOCs fail to see is that the problems of the modern university can’t be fixed by technology alone. All the iPads in the world won’t replace the power of face-to-face learning. And lining up students in a row and talking at them for an hour each day doesn’t encourage much connection. Sports are fine to bring people together, but colleges need better and broader tribes. Why are students rarely given any real responsibilities? A final exam is a fake responsibility. While many universities’ rhetoric would claim to inspire vision, self-esteem and the habits necessary for students to become the best version of themselves, precious few deliver. For example, if students are expected to become confident, self-directed adults, then why are students rarely given any real responsibilities? A final exam is a fake responsibility, yet there are plenty of real-world jobs that students could do where actual pressure to deliver could inspire competence. If students are expected to create innovative work in their future careers, then why are so many courses evaluated in such unimaginative and standardized ways? Surely people can prove their learning in ways other than a multiple-choice exam or essay prompt. And, as so many recent graduates are discovering, if students need experience to break into an industry, why do we keep them locked up in lecture halls to have theoretical ‘experiences’ for four years? Questions like these have led some to reject the idea of a university entirely. But this is equally misguided. Millions still flock to universities, and not just because their parents told them to. People crave the adventure of shared growth and learning that colleges supposedly offer. And everyone loves the informal elements of college like new friends, parties and trips. Right now universities focus on content and the (rapidly falling) prestige of their exclusive degrees. In the age of the internet, content is a losing game. The best knowledge in the world is now almost all free. Besides, the best content for a world-class education is life itself. And as changes in the economy allow more people to enter markets without credentials, the power and exclusivity of an elite degree will continue to falter. What’s left? Habits and support for the personal development of each unique student – precisely what the huge, expensive and impersonal institutions that we now call college don’t do well. Colleges must offer an exciting and supportive environment to help us face the universal human challenge of overcoming our fears, ignorance and bad habits. To survive, colleges must focus on the human elements of education. It’s the one thing that technology can’t yet provide. A great college with this mission should also provide the social and economic capital that students need to transition straight from university into the real world. A model truly built on these principles would be radical indeed. It would look more like a club than a college. It would need to teach students to have the discipline to abide by their own schedules, to structure their own learning and to build a personal network for future success. Therefore it would have no set schedule, no fixed curriculum and no permanent faculty. It would put students in the fires of experience from day one. And it could also be much more affordable. Universities won’t be replaced with technology. But they will have to change. Meet the Michael Polanyi College (MPC) at Universidad Francisco Marroquín, Guatemala’s top university. The MPC works like a free-flowing market, where the curriculum emerges from the interests and projects of students. Students range in age from 17 to 37. All students work towards a fully-accredited Bachelor’s degree that they design in a supportive learning community. Like a market, students do everything by contract. These contracts set the commitments of each student, who design their courses around their own projects. Some choose to travel. Some work in groups. Some get a job or apprenticeship. Others prefer to read on their own. There is no pedagogy imposed from above, so everyone can find a learning style and opportunity that fits their needs and goals. The MPC doesn’t tell students what to learn; it helps students figure out how to learn the things they need to achieve their goals. To maintain accountability, the administration enforces students’ own commitments like an impersonal judge. Learning contracts gives each student an individualized experience. The MPC can accommodate interests as diverse as aquaculture, marketing, web design, acting, video editing, painting, political science or culinary arts – all in a shared co-working space. Most importantly, the MPC method allows students to incorporate their own professional or entrepreneurial projects directly into their education. Students don’t “go off to college”; the college just structures and supports their work in the real world. While most colleges limit the choice of students to a select number of in-house professors, in the MPC there is no full-time faculty. 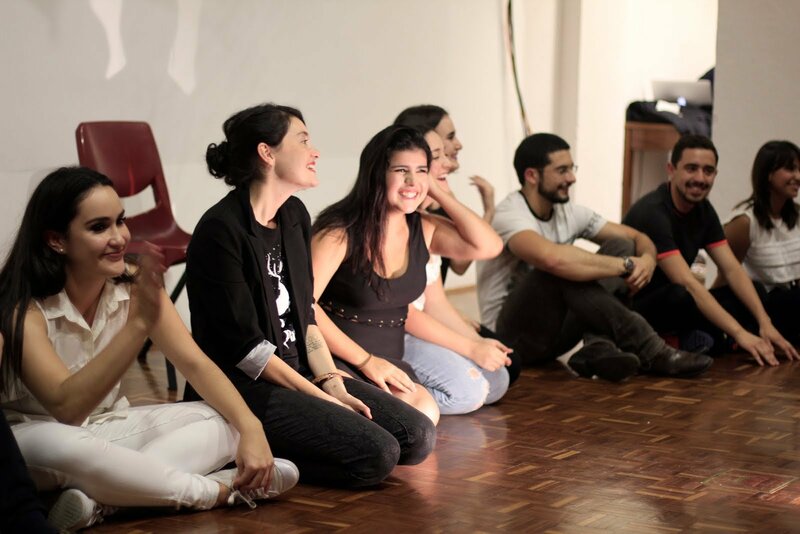 A rotating cast of residents offer voluntary workshops to students and enliven the space with their work and knowledge. Mentors are hired for group courses when necessary. 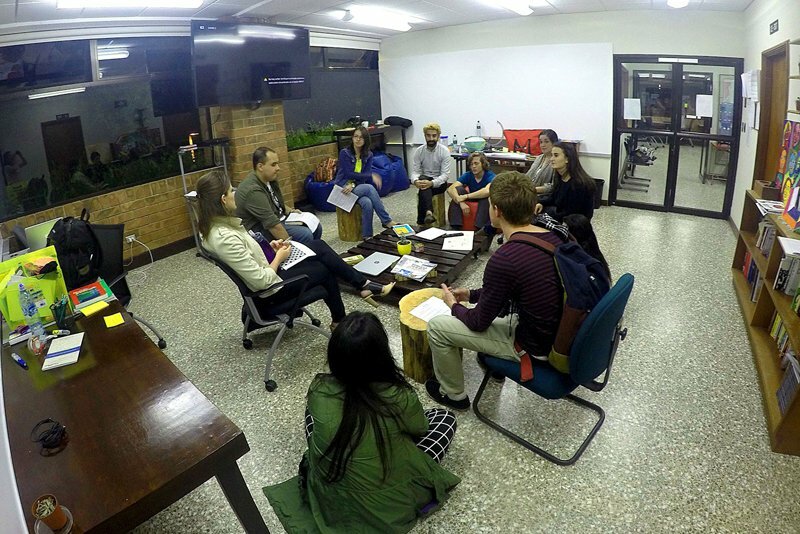 Otherwise, students rely on each other and the social network of Guatemala City and beyond to reach their goals. Perhaps most radical of all, the MPC puts a large portion of students’ tuition in an educational bank account that each student manages for themselves. Using these funds, students design their own courses, invest in their own businesses, travel and contract with mentors from around the world. Students pool their money as a group or contract individually for one-on-one mentoring with professors or professionals in any field. Professors also report much higher satisfaction since they’re treated as respected mentors, not lecture-givers on an assembly line. Students can also use their funds to pursue online courses or other third-party certifications for skills like programming. A few MPC entrepreneurs have even funded their own start-ups using their funds. Many fear that radical student freedom would mean low standards for work. But unlike typical exams, real-world projects and jobs are hard to fake. It’s difficult to game the system when your final project is $1,000 of sales, a paper published by a research foundation or a website delivered to your client. Each student’s network of professional and academic mentors evaluate their work using rubrics appropriate to each project rather than standardized tests. Students that design courses around a job receive letters of recommendation or job offers that launch them immediately into professional life. The MPC remains an educational start-up to this day, forever adapting to the needs of students. The true radicalism in the MPC is in its respect for students as autonomous, responsible adults. In this respect for students’ individuality, we can find a coherent alternative philosophy of higher education. The school derives its name from philosopher Michael Polanyi who argued that ‘spontaneous order’ was crucial to the success of social and natural systems like markets and ecosystems. Polanyi’s philosophy is on full display in the MPC’s almost complete absence of central direction. While most colleges feel like hierarchies with students at the bottom, in the MPC the faculty and staff serve to support the diverse projects of students. The administration hires students when something needs to be done. From marketing, to designing furniture, or programming the official website, students learn how to manage projects from start to finish. Despite this unconventional approach, students in the MPC have achieved remarkable results. Some are graduating with profitable businesses and others are giving sold-out performances in theatres. Others are leading major efforts in the Guatemalan economy, from bringing indigenous cuisine to new markets, to modernizing the Red Cross’ supply chain for blood donations. Another recent grad was featured on CNN for her views on political economy. In a country with extreme employment troubles, the vast majority of MPC students work at least one job within their first year and many different jobs over the course of their degree. Students have the opposite problem of the average American graduate. Instead of graduating and struggling to find work, MPC students are employed during their studies and have to decide whether to finish their degree or simply drop out to follow a job offer. Most important of all, the day-to-day environment bubbles with interesting new projects, art and collaboration. It’s a tribe: built around personal betterment, learning, and fun. Students support one another, rather than competing in silly and meaningless class rankings. Motivation is intrinsic. Despite no attendance policy, students still arrive each day to work on their goals. And they do it at a fraction of the cost of a typical American university. Universities won’t be replaced with technology. But they will have to change. To thrive, the 21st century university must focus on the human elements of education like community, the free exploration of heretical ideas, entrepreneurship, and self-development. We must free students from the confines of the artificial classroom. We must treat them as equals. Most of all, we must unleash them onto the real world and support the great adventures they will build for themselves. With freedom and respect, we may all be surprised what students can accomplish.